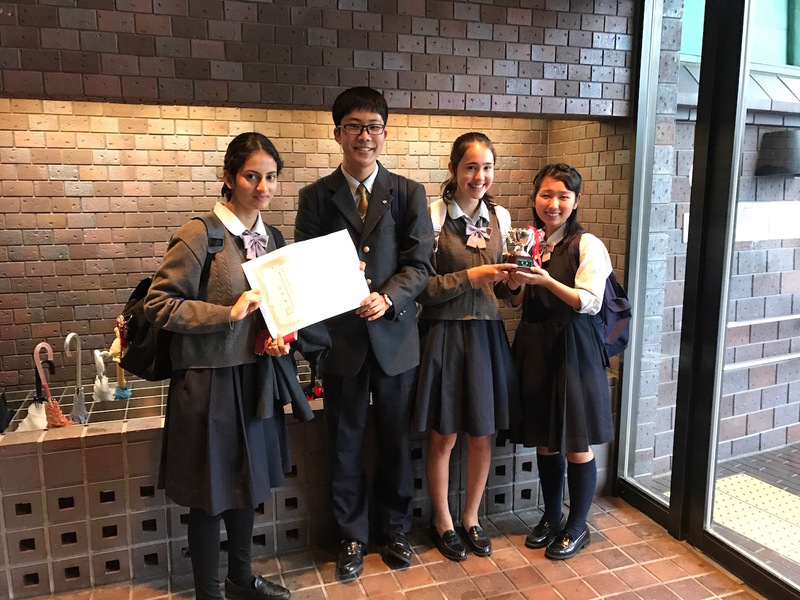 Ryota Nakao, Devayani Mujumdar, Remi Hanai, and Alisha Tone from Grade 11 won first place at the Shizuoka Prefectural Debate Tournament last Sunday, October 29. They debated against twelve high schools and advanced through four rounds of debates, ultimately leading to their victory. They earned their spot to compete at the National Debate Tournament held in Saitama in December. Please give your congratulations and wish them luck at national debate! Copyright © News from Katoh Gakuen Gyoshu Immersion and Bilingual Program All Rights Reserved.